UPDATE: MUGS are now just $10 points. If you go to either location 3 times a week, you will save over $160 this year. Go 5 times a week and save close to $300 this year. 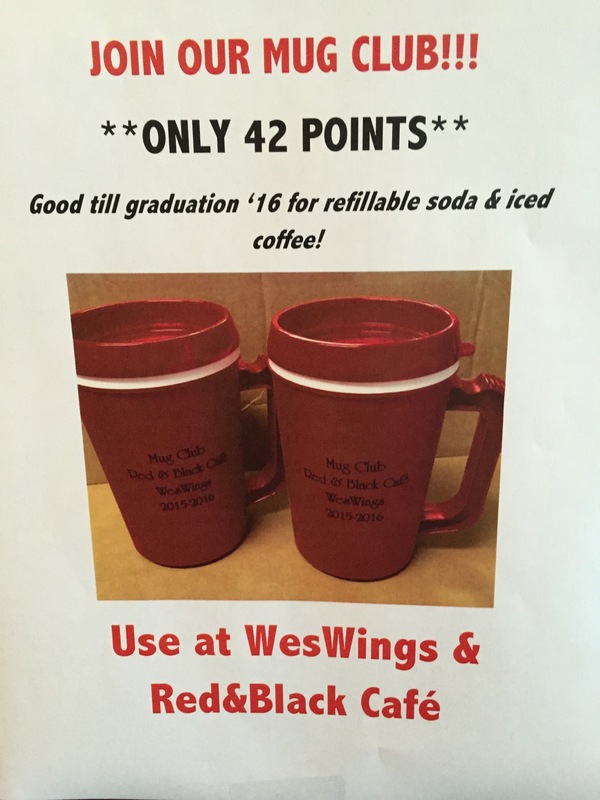 The mug is good until the end of the spring semester May 14, 2016. No, there is only a one time fee of 42 25 points. After that, simply come to the counter and ask for your drink.